What new technology does the future have in store? 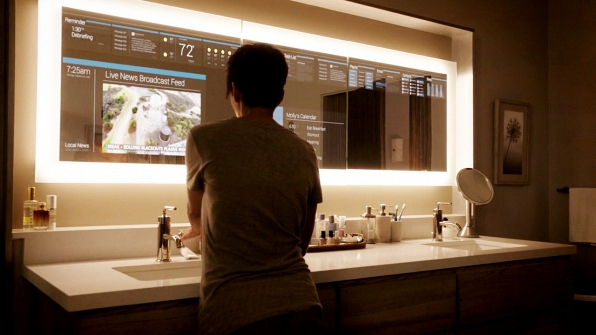 Whose life wouldn't be more awesome with a bathroom mirror display? The tech from Season 1 set the bar high with all kinds of modern conveniences, so just think what wonders Season 2 will introduce.